Haruki Murakami’s amazing novel about a man who returns to a renovated Hotel where he believes lies the secret to solve his dreams of a long lost lover. In this hotel he meets Sheep man, a strange man dressed in sheep cloths. 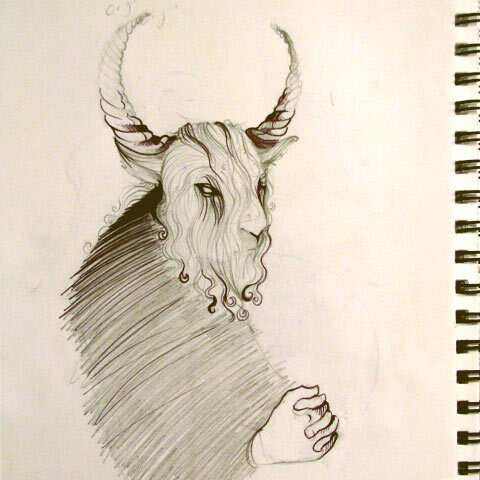 In my mind, the image of this Sheep man was in line with that of a Satyr.